Broadcaster and DJ, DJ Debbie i.e. 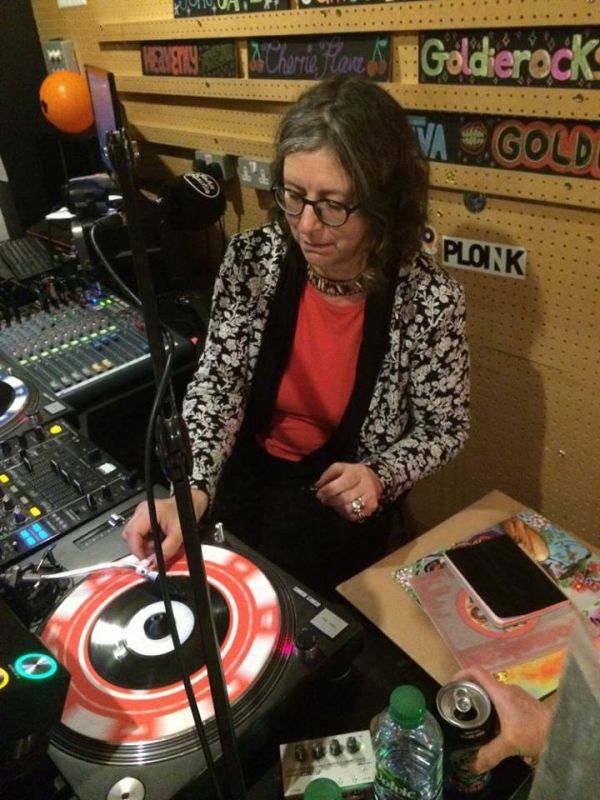 Debbie Golt, cut her DJ teeth spinning records at Rock Against Racism gigs in 1977/78 but her passion for music goes back to listening to early Beatles, Stones, Animals and then seeking the roots of the music they popularised. Then it was seeing Motown artists on Top of the Pops and listening to Radio Caroline under the covers when she was supposed to be sleeping. That passion stepped up a gear when she moved to Manchester and spent long hours dancing at clubs such as The Nile, The Reno, The Afrique, Legends, Wigan Pier, Carmoor Road and The Russell Club. This love of music inevitably led to Debbie befriending musicians and DJs and naturally the next step was to begin DJing herself. Witnessing an early UK show by Bob Marley and his fellow Wailers stirred Debbie’s soul and before long she was rooting about in various specialist vendors picking out tunes on scratchy Jamaican sevens. Reggae was and remains a major passion (not long ago she was invited to join Sisters in Reggae) but at some point Debbie found some Fela Kuti 12”s in much missed Flyover Records in Hammersmith and a new passion for the motherlode of African music began. (For anyone reading this who could do with a strong dose of Afrobeat NOW, here is Fela’s Zombie – which goes out especially to long-standing friend John Clarkson). 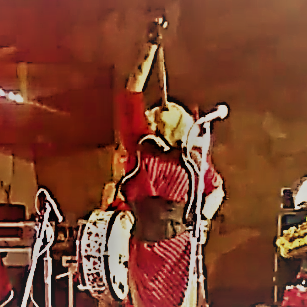 These days Debbie’s sets more often than not are an amalgam of great African and Jamaican sounds, entertaining crowds at festivals, gigs and clubs including Bestival, Shambala, Fusion Marrakech, RFH, Scala,100 Club, Passing Clouds and Richmix. This absolutely cracking set from the 2017 Musicport Festival leans more to the African side but gives an idea of the range of the material Debbie shapes into a very satisfying whole. Debbie has a long-running interest and involvement in radio and is an accomplished broadcaster. Debbie was part of the first women's radio station in London, Brazen FM, in the early ‘90s and later delivered 2 hour mix sets on the first internet radio station – Gaialive. These days Debbie has a regular spot on Resonance FM - (a sort of WHC for the radio) - her Outerglobe music magazine programme going out on Thursdays at 18.30-19.30 UK time and repeated Tuesdays at 08.00. Having built up such a wide range of experience over the years, Debbie can now often be found delivering training or appearing as a panellist or keynote speaker at events such as WOMEX, In the City and Radio 1 Sound City. She has lectured at City University and Birkbeck. Sometimes Debbie goes back to SOAS (School of Oriental and African Studies) which some of the people reading this will remember as the hothouse of the African music scene in London in the 1980s when the whole ‘world music’ (I know) explosion introduced us to shedloads of glorious live music, blasting colour into our grey postpunk world. Politicised from an early age, Debbie is a champion of women’s music and achievements and is chair of Women in Music but as ever seeking new musical delights and sharing them with others remains central to her being and that’s good news for the rest of us.